I don’t do this often (after all, this is an interior decorating blog), but sometimes I like to do a little post here and there to help out my fellow bloggers—especially those who may be new(ish) to the world of blogging. This post was actually sparked by a comment from a fellow blogger on last Thursday’s Pinterest post, which led to a couple of other comments from other bloggers, as well as a couple of e-mails to my inbox. The topic of stealing bandwidth is one that really seemed to confuse people, and confusion generally leads to frustration. So let’s start from the beginning. First of all, let’s define “bandwidth”. I’m not a techie kind of person, and I don’t know the ins and outs of how the internet actually works, so we’ll keep this very elementary. “Bandwidth” simply refers to the amount of data that is transferred from one point in any given amount of time. So why was that happening? That happened because people with free Photobucket accounts evidently have limited bandwidth. In other words, the amount of data that can be transferred from their Photobucket account to other people accessing that data is limited. There’s no telling how many blogs this blogger’s button is on. 50? 100? More? But each time one person accesses any page of any of the blogs with that blogger’s image embedded on it, Photobucket has to send out that image information. Once the limit has been reached, the photo can no longer be sent out. Because these photos were larger format that I generally use on my own blog, I decided to upload them to the Yahoo server that hosts my Kristi Linauer Interiors website, and then add them to the post that I sent to Kate. The problem? Kate’s blog gets 3.5 times the traffic that mine does, and many, many, MANY more times the traffic than my Kristi Linauer Interiors website receives, which caused me to exceed the bandwidth limit in a hurry. The result? None of the photos were showing up on my guest post on her blog. After freaking out a bit, I finally realized the problem and called Yahoo to upgrade my account to allow for more bandwidth. Problem solved, but it cost me. That’s the bottom line when it comes to bandwidth…someone pays for it. Generally, a website or blog (1) is using free image hosting, in which case they have limited bandwidth, or (2) they are paying for image hosting, the cost of which is generally based on the amount of data being stored and transmitted, or (3) they are hosting the photos on their own servers (the case for many huge websites) in which case they are spending thousands of dollars to purchase, upgrade, and maintain their servers. How do I know if I’m stealing bandwidth? Using this method to insert an image onto my blog from another blog or website is called hotlinking. And every time a visitor comes to my blog to view the post in which this photo is located, the code in my blog post is pulling that photo from the server that is hosting Apartment Therapy’s photos, which eats up their bandwidth. Now I doubt that a site as huge as Apartment Therapy will have a problem of exceeding their bandwidth due to the traffic on a comparatively small blog like mine, but the point is that they don’t (and shouldn’t have to) pay to host photos for visitors coming to my site. How Do I Avoid Stealing Bandwidth? The answer is quite simple. In order to use a photo from another person’s website, mouse over the photo, right click on your mouse, and choose “Save Image As” to save it to your computer. Then upload the photo to your own account on whatever photo-hosting site you use, and use the code from your own account for that picture in your blog post. There are two other reasons that I can think of (there may be far more) to avoid hotlinking to another website’s photos. You don’t have control over the photos. If you have hotlinked photos in your blog posts, and the owner of the photos decides to delete the pictures or rename the pictures, you’re stuck with blog posts with big, empty holes where photos once were. Not pretty. Not pretty at all. So there you have it. The basics on bandwidth, stealing bandwidth, hotlinking, and how to avoid it. Previous Post Out Of Curiosity:: Does Your Home Reflect Your Wardrobe? it's incredibly cheap to buy extra bandwidth. plus – it takes forever to use it up. at least on google that is. i usually don't right click as much as is print screen or screen clip pictures. is that stealing bandwidth? just wondering. i love when you write about techie things. you're the best at it. Thanks Kristi for the info! Interesting – sometimes I "hotlink" photos, just because I want to make sure to give credit for the correct website. Will just make sure that I don't do that anymore, and will make sure that I simply give them credit on the blog. btw – the empty or weird blog icons are exactly why I have removed the "blogroll" function off of our Everything Coastal blog. Am currently in the process of building a page that we're hand selecting coastal and interior blogs. THANK YOU! I honest to goodness had no idea until reading through the comments on your Pinterest posts, but it makes perfect sense. Pictures are obviously stored somewhere…the internet isn't THAT magical! Kristi ~ you claim to be a non-techie, but you explained this issue beautifully. I would love to see an article on copyright – which you touched on. How do you decide if you can use a picture from another blog? Is linking to the other post and providing written attribution enough – or do you always ask for permission? On different occasions, I have emailed other bloggers to ask permission and never hear back – definitely makes it tricky to get a post up quickly. I had no idea! I thought when I hotlinked photos I was saving them to my blog's picasa site…thanks for "educating" me! #1 I kind of thought bandwidth had to do with wireless connections. #2 I have always right-clicked and saved images to my computer then went and manually added the link as a "source" Not because I was worried (or even knew about) this bandwidth thing, but because I didn't bother to try and use the "upload from web" option. (I am a creature of habit…) Thanks for this info! Gonna share on facebook and tweet. And stumble. Yep, credit and a link are definitely the way to go. I have the same thing on my blog roll. Those little buttons are cute, and everyone seems to offer them, but I hate having to revisit my blog roll and re-paste people's code because they decided to do a new button. I'm eventually going to do away with the buttons on my blogroll, and just use links. It's not as pretty, but a heck of a lot easier to maintain (and no weird Photobucket bandwidth exceeded pictures). "…internet isn't THAT magical!" LOL…so true! Thank you, Neena. I hesitate to write about copyright issues simply because that's getting into law, and I'm not an attorney and have no comprehension of the intricacies of the law. Perhaps I could write a post just hitting some highlights, though, and some general guidelines and how I personally handle photos. Hmmm…I'll have to think about that. Oh, you're not a dork! Bandwidth is actually related to wireless connections. It's used to describe how fast your internet connection uploads/downloads information. 🙂 The word is used in several different ways, but it's always (that I know of) in reference to sending/receiving data. Hey Kristi, great article! I've never seen it written about in our niche, so glad to read you did! Yep, you're right, displaying images using other's bandwith is risky, you're relying on their servers. These days I just host all the images myself and give credit to the source in a link. Yep, I end up paying for more bandwidth due to increasing server costs, but at least they're all in my blog's media files and not floating around in the stratosphere which can do questionable things to images… as you indicated. Thanks for the linky love too!!! Kristi, I am in the infant stage of creating my very own blog and I cannot tell you how much I appreciate the advice and knowledge sharing from experienced bloggers such as yourself! 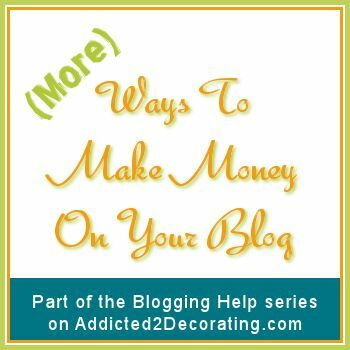 This post offered some very valuable info and now I need to go read your previous "blogging help" posts. I look forward to whatever you have to offer! The only way I KNOW how to get photos is to :save as: so I guess it's good I'm a one trick pony! Thanks for a great article. I am trying to learn all the proper blogging etiquette I can. I'm sorry. I might be stupid…in fact I'm quite certain I am stupid. But I don't understand this at all! I'm going to re-read the whole post for the 3rd time and hope it sinks in to my pea brain! wow…I had no idea! Thanks! I'm so glad you brought this up! It's definitely a topic that seems to confuse people. Thank you, Kate! And thanks so much for your input. It's always good to get input from the authors of the big, established blog. Good information. I'm somewhat new to blogging. Wow. Thanks for the education. I've been blogging for a while but I had no idea that's what bandwidth was all about. I really appreciate the lesson. Thank you so much for this post. 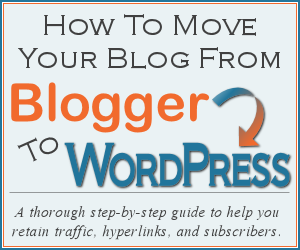 This has helped a new blogger immensely! In my ignorance I have done this, so won't do it anymore! thanks so much for the easy-to-understand blog. THANK YOU!! I am very new at this, and I am sure I have been stealing bandwidth!! Do you know of a good way, aside from clicking all the pics in my posts, to see if my pics are hotlinked? I will need to correct that problem while my post list is still very short!! Great info!! Hot linking is so commonplace…especially with buttons. In fact, many blogs encourage it! It’s great to give thought to the way pictures are being linked and shared! Good explanation! If you self-host, any easy fix is to lock it down through your cpanel. The most amazing, incredible thing about this entire post is that I actually understood it. Thanks for writing “designer-brain” friendly tech tips! You claim to be non-techie, but you have this stuff down! You explained it beautifully…you must have because I understood it. This techie stuff makes my head hurt as much as math! Thanks for taking the time to educate. This happened to me too a few months ago. I freaked out! (I’m actually getting all jittery just thinking about it!) I had a free photobucket account, and one of my projects was getting featured more than I was used to, and on bigger blogs. I was able to find exactly which picture had a ton of view, and on exactly which blog (even with a free photobucket account!). I scrambled all night to upload my pictures to a new server (I was not willing to pay just yet and found that picasa/blogger will host all images up to 2kb with unlimited bandwidth and unlimited space), including all my blog design elements, all while letting the bloggers know what was happening so they could change the pictures on their blogs. Half of the blogs featuring me ended up hotlinking my images! I was kinda really appalled. I didn’t understand how so many bloggers didn’t know about this issue. To me it was such a fundamental thing; I suppose when you’ve known for so long you just think it’s common knowledge, but it’s really not. So anyway, all that to say THANK YOU for writing about it, and I hope a lot more bloggers see this and stop doing it. I’ve learned my lesson and now have unlimited bandwidth, though I still think it’s not my fault and I shouldn’t’ve been penalized, the fact of the matter I can’t blame others for not knowing, and I can’t control who uses my images. Better be safe than sorry. Phew. I’m not a bandwidth stealer … I didn’t even know you could upload pictures on a blog post like that!